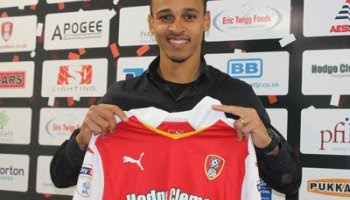 Former Nigerian international Osaze Odemwingie has completed his move to Indonesian first division club Madura United FC. The former Stoke City forward was introduced in an unveiling ceremony in Jakarta on Monday, by club’s President Achsanul Qosasi and manager Haruna Sumitro to the club fans ahead of their league opener. The club confirmed the signing of the Nigerian international through their Twitter handle on Monday. “Welcome Peter Osaze Odemwingie!” in a club shirt with Odemwingie’s name and number 24 boldly on it.